What fun! This will become a special memory many years from now. What fun! Play houses are such wonderlands! Ah - quilty pleasure in a playhouse! That has to be the most beautiful tent ever! 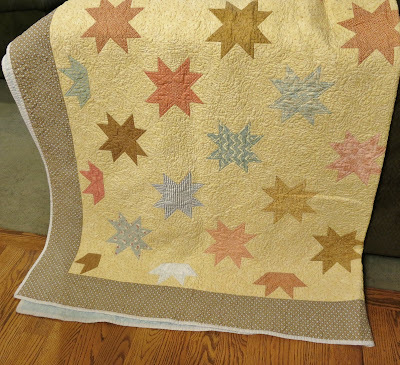 It's wonderful that your kids enjoy the quilts and are creating great memories. Best use of quilts - ever!! That is a fabulous use of quilts!! 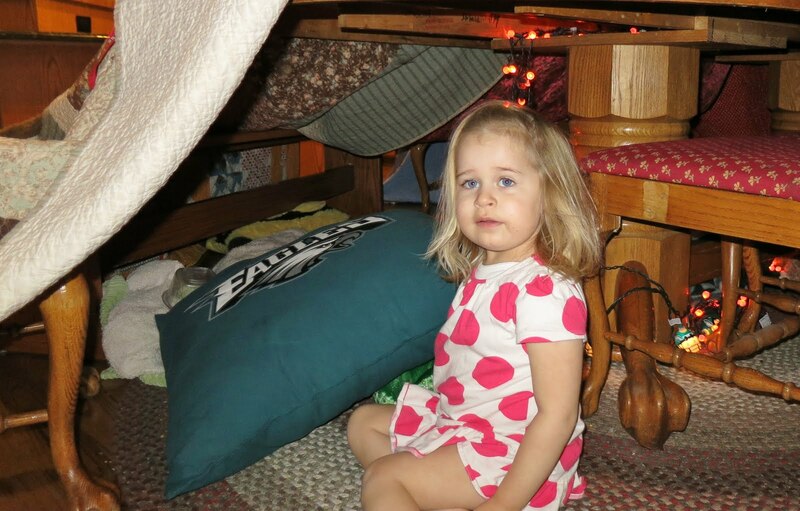 Love love love quilts in action as forts!!!! How fun. Building happy memories for little Allison, too. Oh what fun....I remember doing that as a child, and then watching my son do the same thing! OH, what fun. I remember those days with my kids. Love your floating stars. How much fun is that for little Allison! 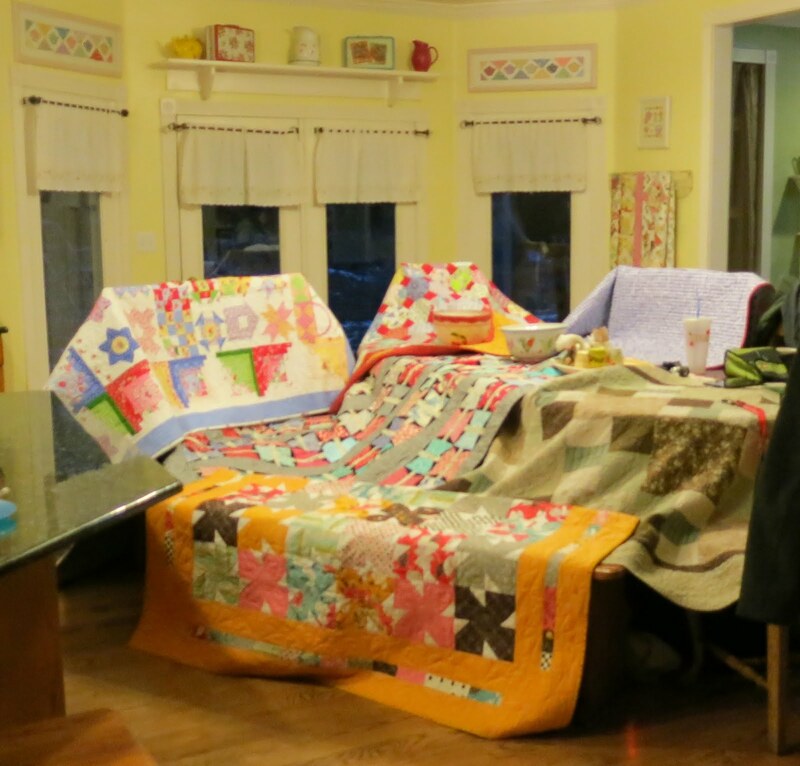 Your quilts of love were being put to good use. Three of my little grandchildren will be travelling here for Thanksgiving with their parents of course! I am going to have my quilts out for them to use. I love your floating star quilt. The colors are really warm. Now THAT must have made those gorgeous quilts very happy. There's no better use for quilts imho. I'll bet Allison loved it. LOVE that floating stars quilt too! Looks like so much fun for the little ones! I can't think of a better way to use them! my sister was bragging on my quilts to a lady who sews for profit and she was horrified my kids use them as a fort LOL! But they are so expensive to make and they just crawl around on them? To me the crawling around on them takes them from expensive to priceless. I think you, your daughter, and Allison have the right idea! LOL! My five year old son loved the pic and figured out right away that the quilts were over the dining room table. His eyes lit up! So far I've only let him build forts - yes with quilts - in his room and all over the living room. The dining room table is sacred - for now LOL! Love it!